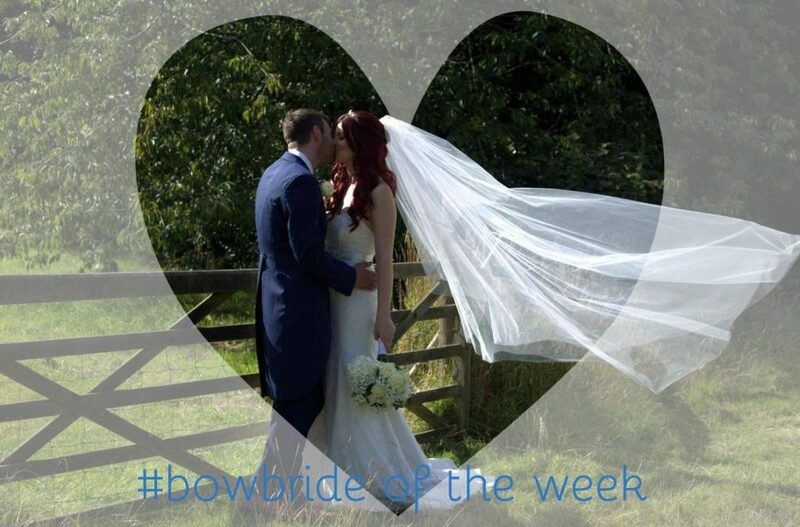 #bowbride Ellie in Coco by Chanticleer. 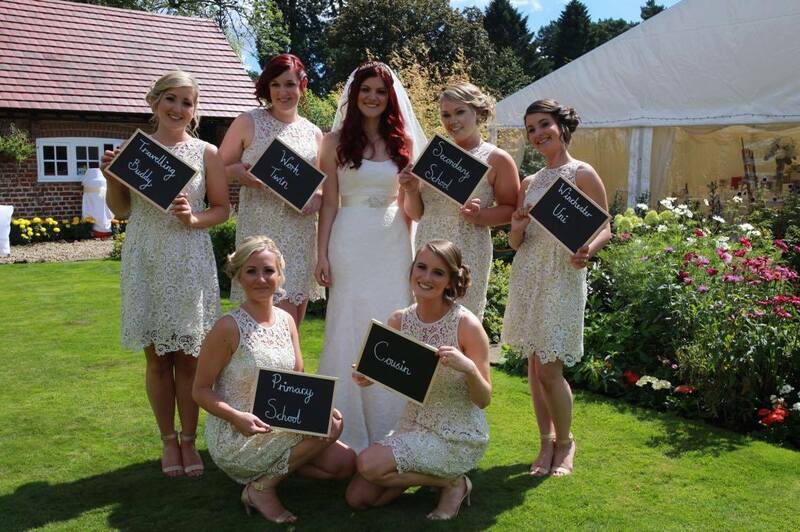 We love it when our brides share their stunning photos with us after their big day! So each week we will be featuring one of our fabulous brides, showcasing their wedding and, of course, their dress! 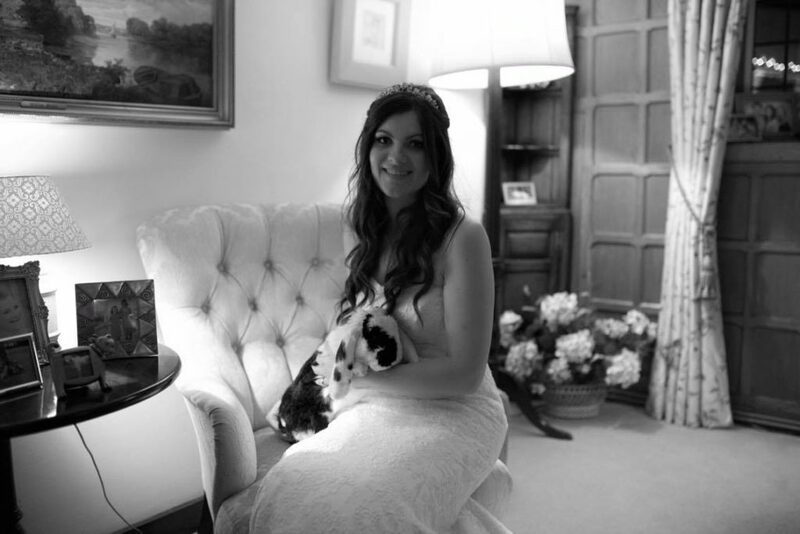 This week we are featuring our gorgeous Ellie who married on August 6 2016 in Kent with her fabulous photos captured by Nicky Todd. For my wedding day I wore ‘Coco’ by Chanticleer. When I first went shopping for my dress I had no idea what style I wanted. I went to 4 shops before going to Brides of Winchester and probably already tried on around 40 dresses. 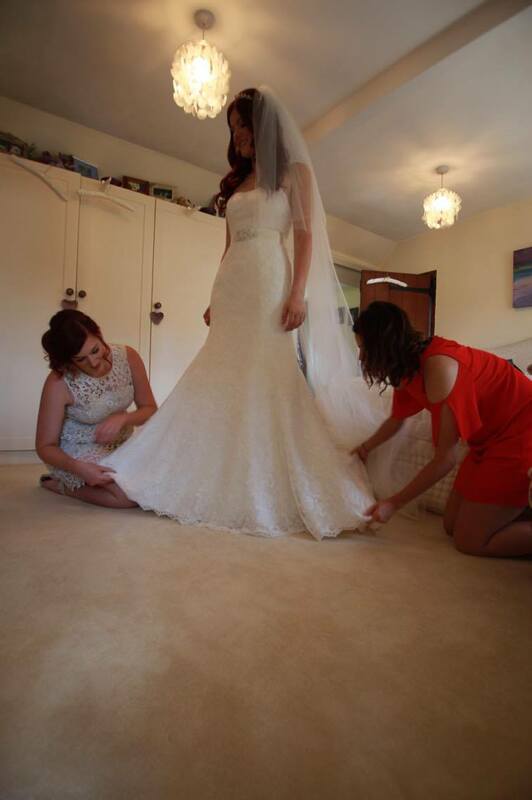 People had said to me that you will know when you have the right dress because you will have that ‘wow moment’, and I was starting to get a bit worried that I never would! From the moment I walked into BoW I felt relaxed and was treated as thought I was the most important person in the world. Not only did they listen to my worries and put up with my indecisiveness, they guided me to try on dresses that perhaps I wouldn’t have chosen myself. Laura picked out Coco for me and although I wasn’t sure when I saw it on the hanger, I thought I would try it on just in case. Thank goodness I did because I had my ‘wow moment’. Once the gorgeous pearl and diamond belt was added and the fabulous floor length veil I knew that no other dress in the world would beat this one. How did you choose your venue? We got married on August the 6th 2016. 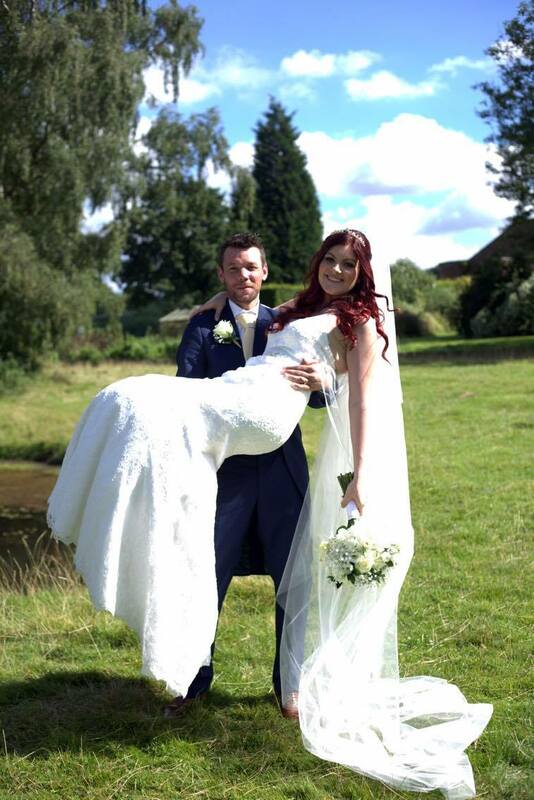 I had always wanted to have a summer wedding, although with the English weather the sun can never be guaranteed! Luckily, it was a beautifully warm and sunny day. 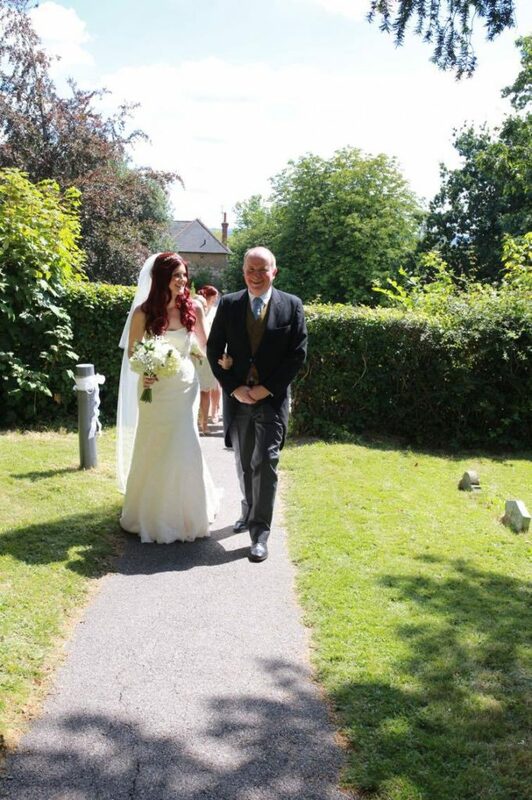 Our ceremony was held at St George’s church in Weald, Kent. This has been the church I have gone to my whole life and was also where my mother got remarried a few years ago. I moved to Falcon Cottage when I was 8 years old and it has always been my dream to have my wedding reception there. We had a large marquee put up in the garden, one of our outhouses turned into a pop up kitchen and our greenhouse turned into a cloakroom! 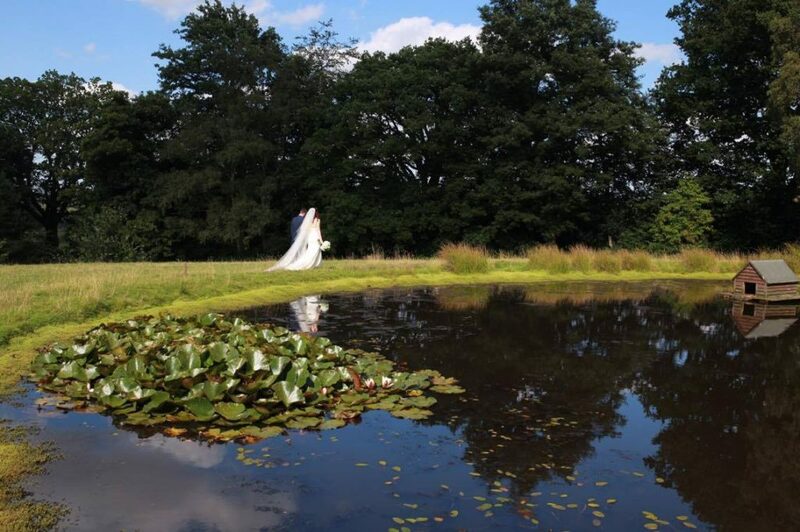 My mother is currently selling the house, so it was extremely special and personal to be able to get married somewhere that I had grown up and spent such an important chunk of my childhood – it was almost like the final chapter! What was your wedding theme and how did you create it? 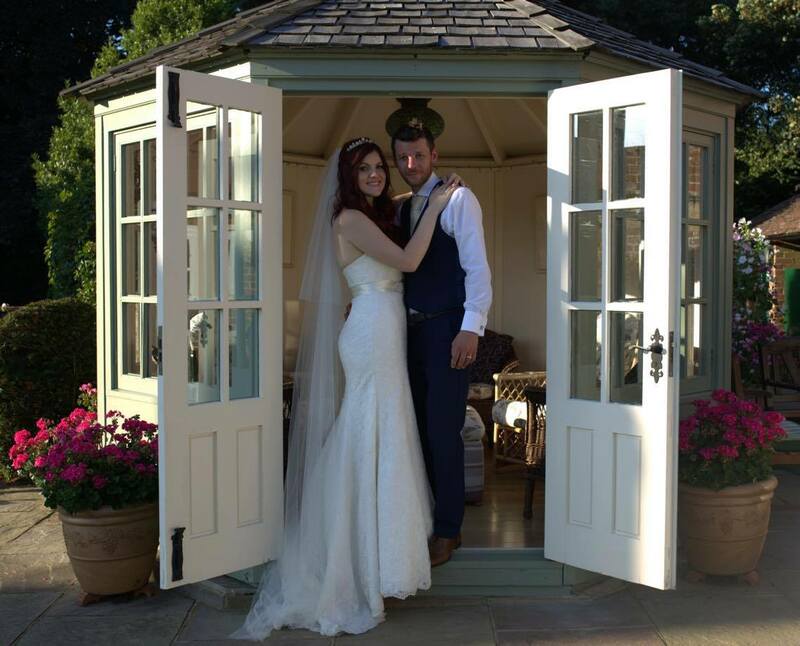 As our reception was set in my mother’s garden we wanted to go for an ‘English Country Garden’ theme. The garden was so full of colour that we decided to keep everything else quite simple and went for mainly white and gold colours. We put lots of our own touches on the day such as having romantic quotes on canvases around the garden, mini rabbit place card holders (we are big rabbit fans!) as well as having a few untraditional things such as a fingerprint guestbook. Flowers played a big part of our ‘English Country Garden’ theme. We had a beautiful flower arch around the church door and many flower arrangements around the church. I had a large bouquet mainly made up of hydrangeas and roses. My grandmother even made the groomsmen’s buttonholes! What was your first dance? Our first dance was to ‘Say You, Say Me’ by Lionel Ritchie, followed by ‘Dancing on the Ceiling’. Choosing our first dance was one of the hardest decisions as Ian really hates dancing and wanted a slow and simple ‘sway only’ song! What is your top tip? To have calm people around you. Getting ready in the morning is so exciting and is where I started to get full of adrenaline! 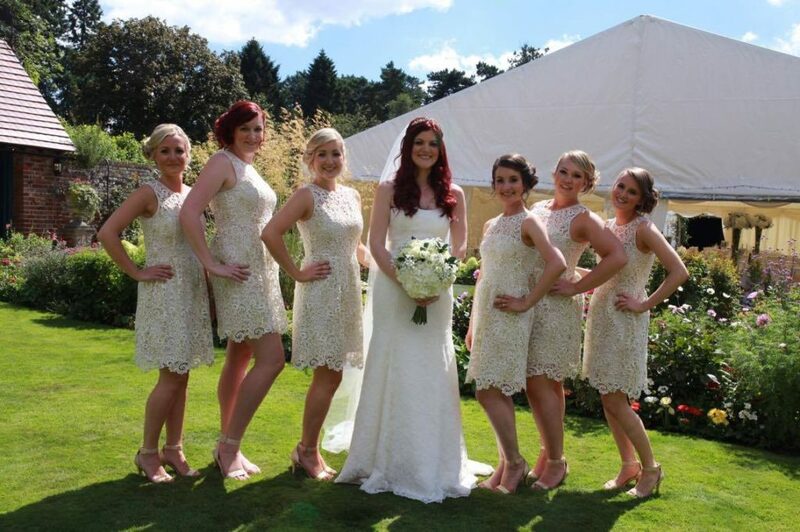 I made sure that I had calm people around me, like my bridesmaids and even my hairdresser Lauren, as that way if anything doesn’t go quite to plan or you run late there’s not a big drama and panic. – Take a moment to reflect. Ian and I went from the church to my neighbour’s garden and had some photos taken just the two of us. This was almost the only time in the day where it was just the two of us and it gave us time to talk to each other, relax and share the excitement between the two of us. There are often so many people to chat to and so much happening that it’s easy to get caught up and not spend any quality time together. – Do a speech! One of Ian’s worse nightmares is speaking in public and he was reluctant to do a speech as he didn’t want to spend the whole day dreading it. Instead, I decided to do a speech and although this breaks the normal tradition I absolutely loved being able to thank the people I wanted to thank, tell my own stories and chat about my husband! What was the highlight of your day? It is almost impossible to choose just one highlight as it was like a fairy tale from start to finish. We didn’t get married until 2pm so I really enjoyed my morning getting ready with my six bridesmaids, mother and grandmother. The moment I walked down the aisle and caught Ian’s eye for the first time was magical as well as having our first kiss as husband and wife with all of our friends and family cheering in the background! A particular moment that I remember well is sitting at the top table and looking out at the other tables full of all of our closest friends and family. I remember thinking how lucky we were to have such an amazing group of people who had all gathered together to share this moment with us. I’m sure most brides would agree when I say that it went by in one big whirlwind of happiness, excitement and love. Thank you so much Ellie for sharing. Clotee S on Merry Christmas from Brides of Winchester. Get the latest news,events and offers! Stay up to date with the BOW eBulletin. We bring the latest events and offers straight to your inbox. Thank you!! Please check your inbox or junk mail folder.